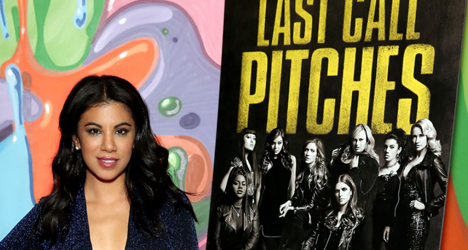 Actress Chrissie Fit on the red carpet for the premiere of the musical sequel "Pitch Perfect 3." When she joined the “Pitch Perfect” franchise for its first sequel in 2015, Cuban-American actress Chrissie Fit was just happy to be there. Not only was she being added to a cast, who three years prior starred in the original surprise hit ($115 million at the box office on a $17 million budget), she also became the first Latina to be recruited by the Barden Bellas, a competitive a cappella group at the fictional Barden University where the first movie is set. In “Pitch Perfect 2,” Fit was cast as Florencia “Flo” Fuentes, a foreign exchange student from Guatemala and one of the newest member of the Bellas. Although it was a big step to write a Latina character into the script, the role didn’t come without criticism. In a few questionable scenes, Flo makes an insensitive joke about deportation and dying at sea, explains to the other girls that she had diarrhea for seven years (presumably from the water quality in Central America) and reveals that when she was nine years old, her brother tried to sell her for a chicken. Right. Now, in “Pitch Perfect 3,” which reunites the Bellas after graduating from college on a USO tour in Europe, audiences learn that Flo has become a successful entrepreneur, opening a franchise of mobile organic juice trucks. As an actress with some “Pitch Perfect” experience under her belt, Fit said she felt more comfortable to sit down with producers and the screenwriter and director to talk about the development of her character and her desire for those stereotypical scenes to not be a part of the new film. During an interview with me last week, Fit, 33, spoke about making her character a more natural part of the singing group, how she feels now that the trilogy is over and what big Hollywood sequel she currently has her sights set on. We’re looking at you, Tom Cruise. “Pitch Perfect 3” opens nationwide December 22. Now that the “Pitch Perfect” trilogy has ended, does it feel more bitter or sweet? It’s a little more bitter than sweet. Although, I do feel like people are hopeful that there will be more [movies]. Who knows? We would do these movies forever because we love working together. We have become a family in the last couple of years. [This franchise] isn’t like a typical Hollywood movie. Here, you have 10 strong, diverse women at the center. It’s been a joy for me to do these films. Do you think Flo Fuentes could carry her own spin-off movie? Maybe. There is so little information that people know about Flo. 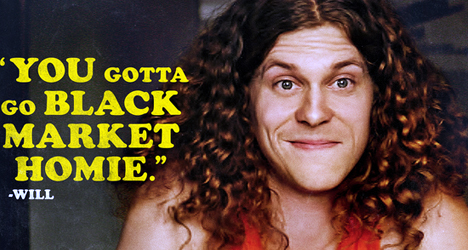 In this film, you get to see a little more of her business savvy ways. I think there are a lot of possibilities to expand and grow. I think audiences would be interested in knowing her backstory a little more. It would kind of be cool to get a prequel to all of this – to see where the girls were before they were Bellas and how they eventually became the group. I mean, they’re doing it for “Star Wars.” Now, we’re getting a Han Solo origin story, so why not, right? What was it like being the lone Latina singer in the group? Were you conscious of it? I was definitely conscious of it. Representation is the most important thing. 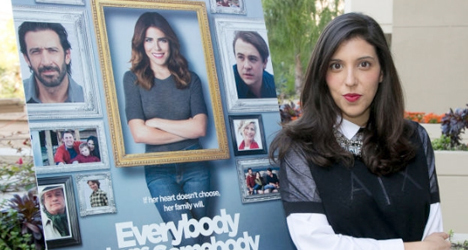 The more you see Latinas on the big screen or small screen the better. Being able to be someone young girls can look to and relate to and see themselves in is so important. It’s an honor. Since the beginning, I was very proud to be a part of this strong group of women. Your role received some criticism in the last film for some of the stereotypical elements to your character. Does the film stray away from those types of jokes now? In the second film, I saw her in the center of all these white girl problems. In this film, before we started shooting, I sat down with the director and talked to the producers and writers about it. I knew it was a risk that maybe I wasn’t going to get as many jokes, but I let them know that I wasn’t comfortable doing any of those [stereotypical] jokes. I think the longer you’re on the set, the more power you have. I was very grateful that everyone was as conscious of it as I was. [In “Pitch Perfect 3”], we wanted to make Flo a more natural and organic part of the group. We don’t have to point out their differences at every turn. I think you see that in this film. It’s a positive image that I want people to see of Latinos in Hollywood because that’s my reality. Were there specific jokes in the script that you didn’t want to do or are you speaking more generally? I’m speaking more generally. There was already evidence that [the production] had gone in a different direction. Also, we had already made those jokes, so we needed newer material. Flo is actually the one character that is the most together from the Bellas after college. That was very cool to see. So, as far as deportation [jokes] or “in my country” [jokes], we definitely had time to improvise and change those [jokes] if they were there. Flor is an entrepreneur in this movie. I thought that was a cool thing for the character – to represent the hard-working communities that I’m a part of. See she that you also have a solo on the soundtrack. I sing “Feliz Navidad!” It was so fun. I do it a cappella. I was trying to get them to singing a Spanish song in the movie. But we do have a Spanish song on the soundtrack, so that’s really cool. I also get to sing a lot more in [“Pitch Perfect 3”] than I did in the second film. On the soundtrack, you can hear me sing a lot more, too, which is awesome. I sang most of the bass line in the second movie, but I got more singing parts in this one. I saw some video of you and cast members running around to the song “Danger Zone” in front of some military airplanes. Do you have a pitch to get cast in the upcoming “Top Gun” sequel? We were just at a military base doing “The Today Show.” I just posted a video of me walking in slow motion in front of a helicopter. It’s pretty legit. I think I should at least be considered [for the “Top Gun” sequel]. I think Tom Cruise’s character (Maverick) should’ve fallen in love with a Latina and had a daughter who is trying to get into flight school. I’m as reckless as he was. Then my dad has to be my Goose up in the air at one point, but not die. Doesn’t that sound like a great film? !